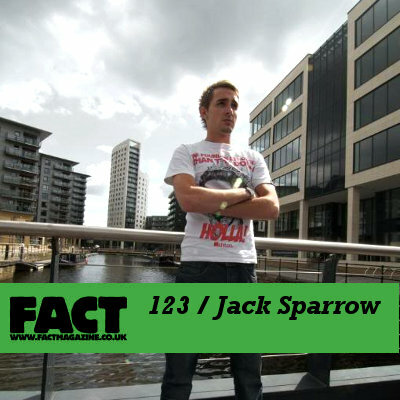 Jack Sparrow has joined the ranks of producers to don the 1’s & 2’s for FACT magazine. If you are unfamiliar with this man’s work, then please get familiar … you won’t regret it. Based in Leeds, Jack Sparrow (aka J.Sparrow) has released tunes on a handful of influential labels including Pinch’s Tectonic and Earwax labels. Filled with tunes from top quality producers such as Ruckspin, Benga, Headhunter, and Scuba, this mix is a must listen if you like your Dubstep hard hitting but not too wobble orientated.